Update 2017: Mengsel was rebranded and is now Lu West. Today I would like to introduce you to South African print designer Luzelle van der Westhuizen. 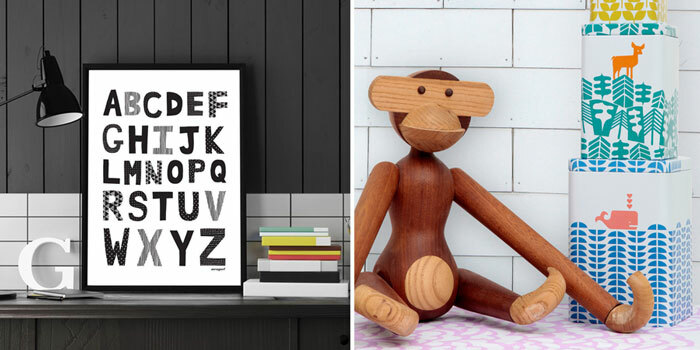 She launched Mengsel with the goal to create a fun, stylish and original homeware range. Her work is inspired by geometric and hand-drawn patterns, as well as African and Scandinavian design. 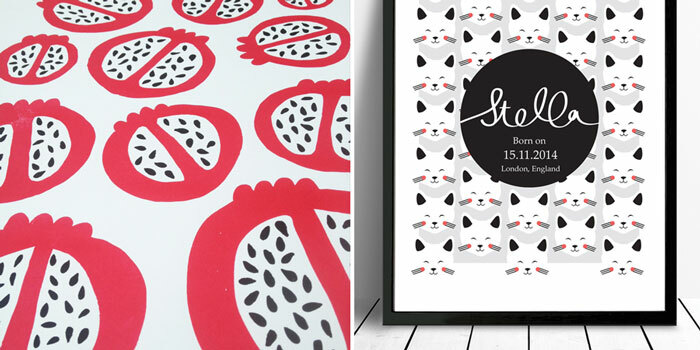 She designs original hand pulled silkscreen prints and home accessories. A: “My name is actually not Mengsel, but Luzelle. Mengsel means “mixture” in my native Afrikaans (also Dutch) and it comes from “mixing” the colours for my prints. I grew up in Cape Town, South Africa and I’ve lived in London for almost 10 years now (can’t believe it!) 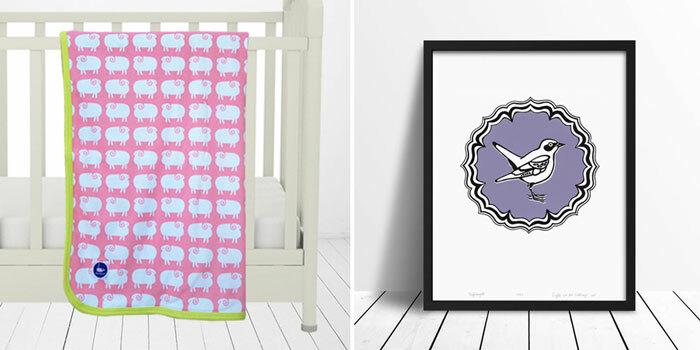 I design unique Wall Art, Homeware and Babywear for my label Mengsel. A: I’ve always wanted my own business and after gaining experience in design and online retail, I felt that the time was right to start my own adventure. Q: What sets your shop aside from its competitors? A: Most of my limited edition prints are printed by hand at my Kew Gardens studio. It is great to have absolute control over the finished product and getting it exactly right. I think that over the years, I’ve created a very unique style for my art prints and I’m very proud of that. Mengsel strives to provide affordable options for owning a unique piece of art. Prints start from only £29. 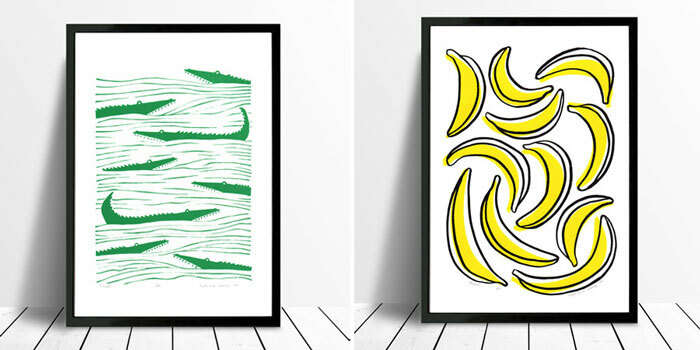 A: I started out as a jewellery designer and my pieces were always very illustrative and bold, so it was a natural step to use my illustrations in prints and homeware. Growing up in South Africa, I was always surrounded by vibrant colour and that shows in my products. A: Everything in my store is my own design and I work very hard to create various collections. I get a lot of inspiration from living in such a vibrant city like London, my design magazine addiction and of course, Pinterest! A: Working from home and working on my own can be quite lonely and I sometimes need a soundboard for new ideas! A: I love the freedom of creativity and being able to plan my day without restrictions. A: Last year, I did a wonderful collaboration with UK gift company Magpie and designed a collection for them called “Abode”. It was a huge success and most of the pieces are completely sold out. I really enjoyed seeing my designs on beautiful plates, cups and storage tins. I still have some of the limited edition silkscreen prints left – whale, mouse, swallow and deer, so check them out while you can! A: In the last couple of years I’ve seen a massive trend in personalization and the need to own something made uniquely for you. I’ve added personalized giclee prints to my store, which I will expand in the next few weeks. I’m also offering bespoke framing for prints, which I’m very excited about. At the moment the framing is for UK Mainland only, but for international orders, please just contact me and I will provide a quote for you. I’m also busy expanding the wholesale side of my business; so if you would like to become a Mengsel stockist, please contact me. 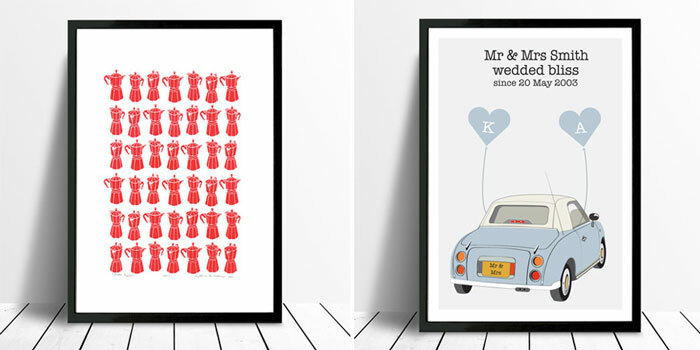 A: My favourite Mengsel print at the moment is my brand new Personalized “Retro Wedding Car” Print. I absolutely love the retro style Figaro. The candy colours are super sweet and it makes a very thoughtful wedding gift. Customers can personalize the print by adding the couple’s names, initials, date and place of marriage. Alternatively it can be personalized as an anniversary gift (Tip: Traditional 1st wedding anniversary gift is paper). Make sure to visit Luzelle’s online shop here, as well as her Facebook page to stay up to date with new product launches and promotions.